A few weeks ago, I stayed late at work one night – till after 7 – to figure out a problem with the rosters. Blah, blah, boring details – but my new boss gave me a gift card to Barnes & Noble for $20 as a sort of “thank you” for the effort. It was a nice gesture, and even though I am 100% convinced that Borders and Barnes & Noble are evil empires out to destroy the magic of independent bookstores, I fall victim to their seductive ways every time. Before I went to NY for work, I had a talk with Jacob, who really gets bummed when I have to go. He loves his dad, and being at his dad’s is fun, but I like to think he misses me when I’m gone. Disrupting the routine, all that stuff. 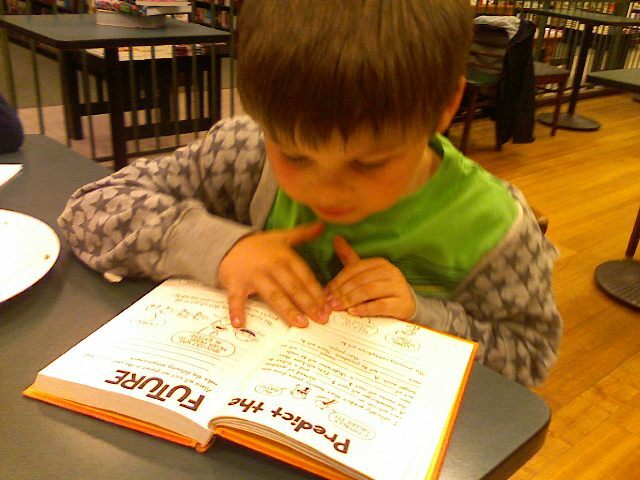 And we had just finished reading one of the Diary of a Wimpy Kid books, and he was keen to go get another. So I promised him that when I got back, we would go to the bookstore and he could use my gift card. I love that I can now take my kid to the bookstore and hang out. He’ll be coming to the bookstore again on Monday – this time, in Princeton, when I give a reading for the Delaware Valley Poets with my favorite reading partner, Anna. Barnes & Noble Market Fair, 7:30. I bet if you come, Jacob will be happy to share a cheesecake and a Wimpy Kid book with you. Be there or be square, kid. we’ve just discovered the wimpy kid diaries. they are exercising significant attraction.